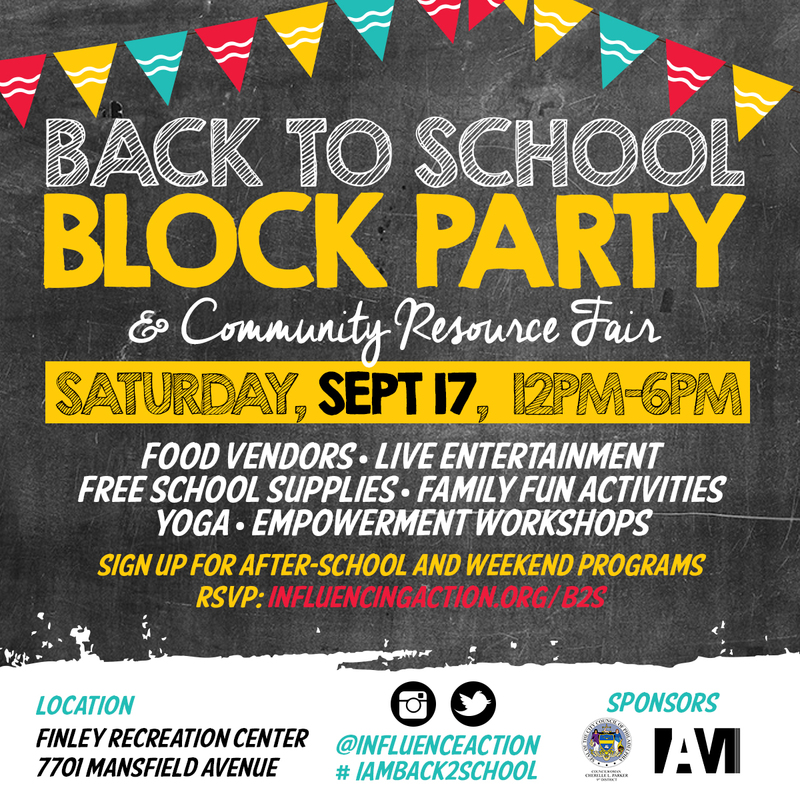 IAM in partnership with the Office of Councilwoman Cherelle Parker and the Finley Recreation Center Advisory Board is hosting its 5th Annual Back to School Event on Saturday, September 17th from 12pm – 6pm at Finley Recreation Center. IAM has been servicing individuals in the Northwest Philadelphia area for the past five years through various mentoring programs, community service projects and student workshops. This event will provide an opportunity for attendees to mingle with fellow community members, enjoy some of Philadelphia’s best food vendors, to participate in empowerment workshops/activities and to celebrate this milestone with the IAM team! IAM Community event celebration will showcase some of Philadelphia’s top food vendors: City approved food truck and delightful discounted treats from Rita’s Water Ice. IAM Community event celebration aims to provide kid friendly activities such as moon bounce, face painting. Additionally, this event will provide some health, wellness and empowerment workshops that will inspire community members to take charge of their health! IAM Community event celebration will showcase some of Philadelphia’s top talent. Attendees will be able to enjoy performances by local Philadelphia artists. Community attendees will be connected to a wealth of community information and organizations that service individuals in the Philadelphia area (specifically Philadelphia’s youth).